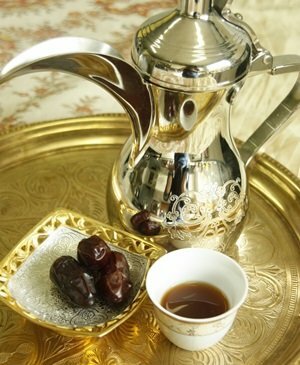 Coffee is a typical expression of the gastronomic culture of my country and a pleasure that has its own ritual. In fact, until a few years ago Italian Coffee was basically linked only to the Espresso: strong, ristretto and hot. 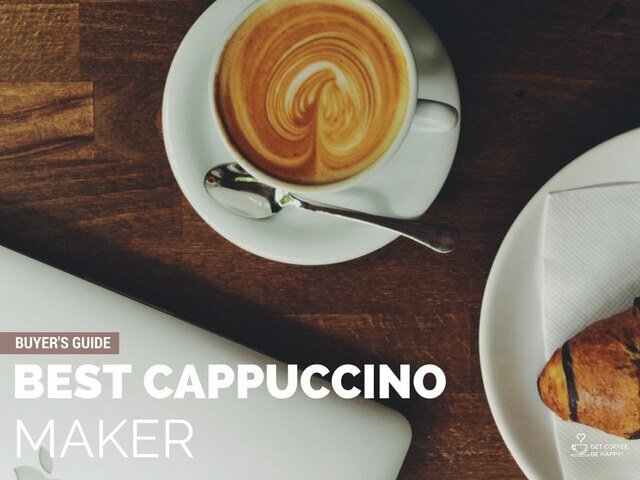 But thanks to the contacts with other cultures, we have also introduced other ways to consume coffee: from “cappuccino” to “marocchino” to “latte macchiato” to spicy coffee. 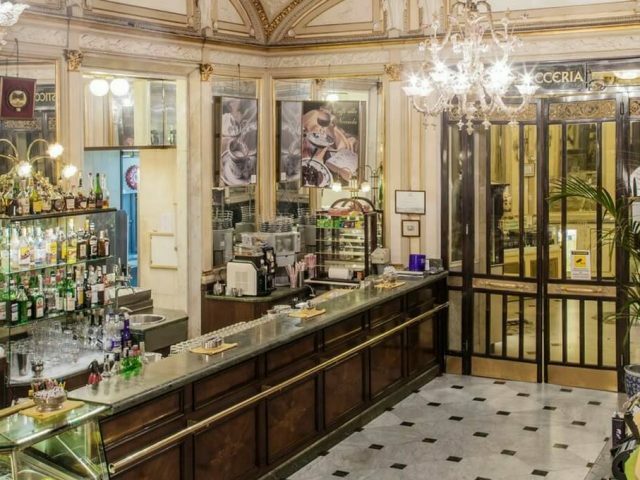 Just think that as of these days a famous historic bar in Naples serves 63 types of coffee! 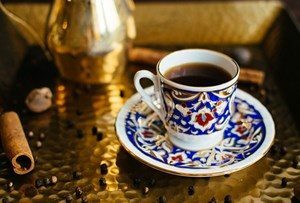 Gradually the coffee lost its purity to conquer other aromas that enriched it and made it more varied without losing its poetry and rituality. 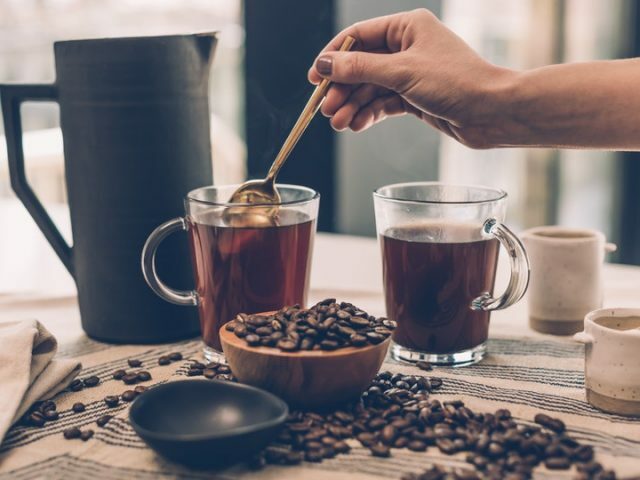 Drinking coffee remains a sensory experience that not only affects smell and taste but also feeling, memory and pleasure. 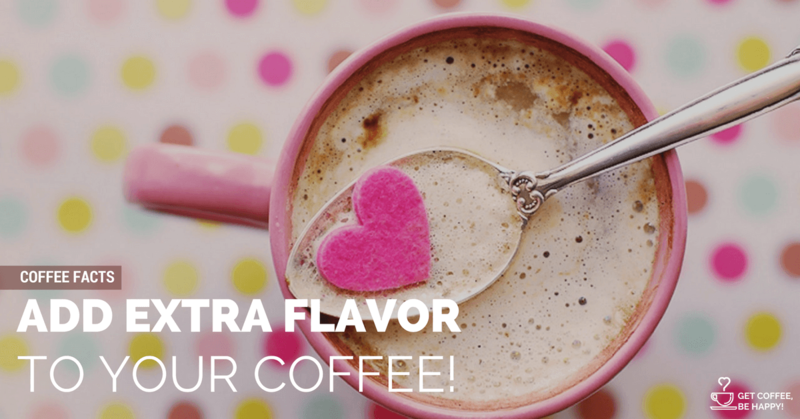 Add Extra Flavor to your Coffee! 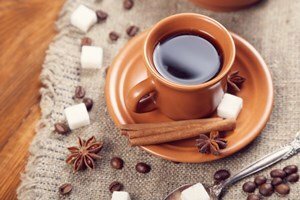 Coffee goes well with chocolate as well with many spices such as cinnamon, star anise, cardamom, nutmeg, chili and much more. 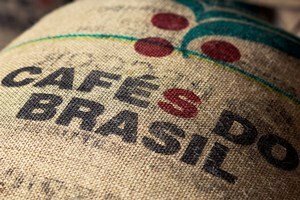 The aroma of coffee will add to that of the spices chosen from time to time as well as the beneficial effects. Also, flavoring the coffee will allow those who need it to reduce the amount of sugar. For example, a pinch of vanilla or nutmeg might be enough to give a touch of sweetness. 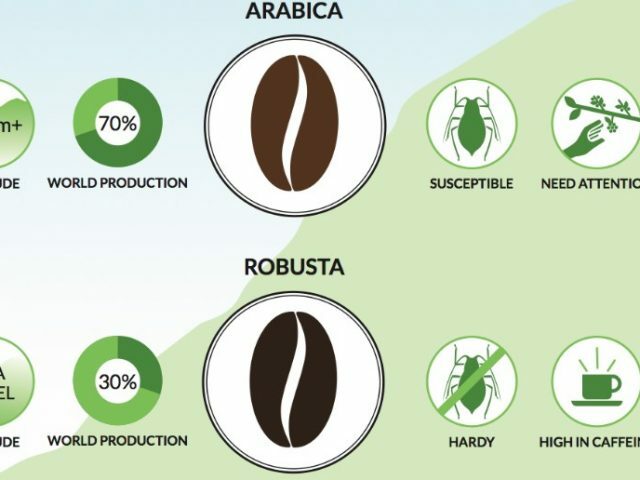 The first thing you can do to flavor your coffee is to buy coffee beans and mix it with the spices you prefer. Remember to reserve a grinder only for spices. 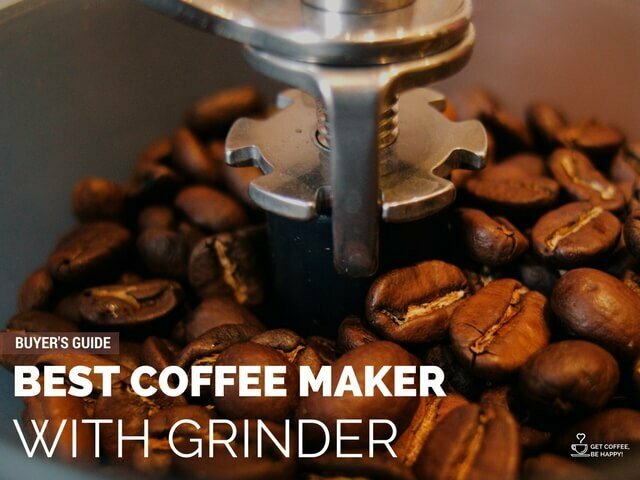 In that grinder, you can also grind coffee. 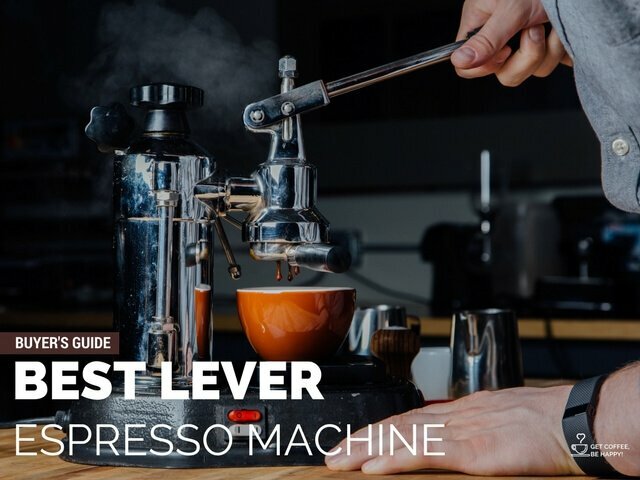 So, If you own a coffee maker with grinder, even better. Otherwise, you can add the ground spices in the coffee filter together with the coffee. 1 Add Extra Flavor to your Coffee! 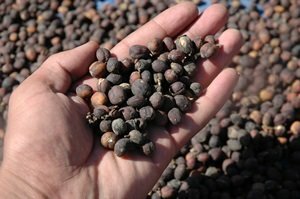 Take 250 grams of coffee, place it in a hermetically sealed pot together with three vanilla pods cut in half. Mix them well and leave them at least three days. 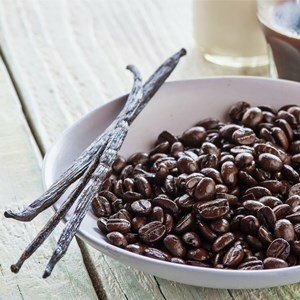 Remove the vanilla – you can reuse it, until it loses the aroma – and use it as you usually do. The same thing you can do with nutmeg and/or cinnamon sticks. If you are used to buying ground coffee you can add chopped spices and leave in a sealed pot until the time of use. Do not leave them too much time, however, because they would lose the aroma. Put a handful of dried mint leaves, half a dried chili and 250 grams of grain coffee in a jar, let it rest for two days. 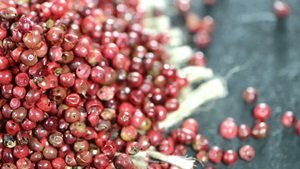 Grind it and use the mixture instead of the usual coffee. Alternatively, prepare a cup of coffee, add two drops of mint syrup and a pinch of chili pepper. 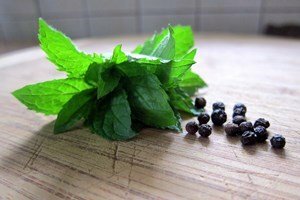 Mint and coffee seem irreconcilable, but that’s nothing faker: the two flavors will blend harmoniously and the chili pepper will give a pleasantly spicy touch. Grate together half a cup of coffee beans, 1 cm of cinnamon stick, 1 clove, seeds of 3-4 cardamom berries, 1 large pinch of nutmeg, ginger and black pepper. Use this mixture instead of your usual coffee or add 1 or 2 tablespoons to your coffeepot. Ginger and pepper give a very pungent aroma suitable for ending a Moroccan dinner. Grind coffee beans with hazelnuts and put the mixture in a jar, add the vanilla and let it rest for two days. Use it instead of the usual coffee. 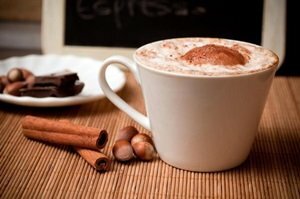 Put coffee, cocoa, and cinnamon in the filter of your machine, alternating them to distribute the aroma. 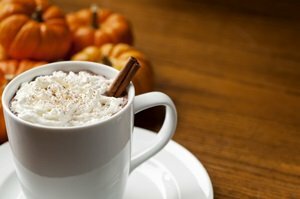 You can sweeten it with honey or cane sugar, but remember that cocoa and cinnamon give it a sweet taste in itself. In Italy, we used to have a lot of coffee with Sambuca as a digestive. 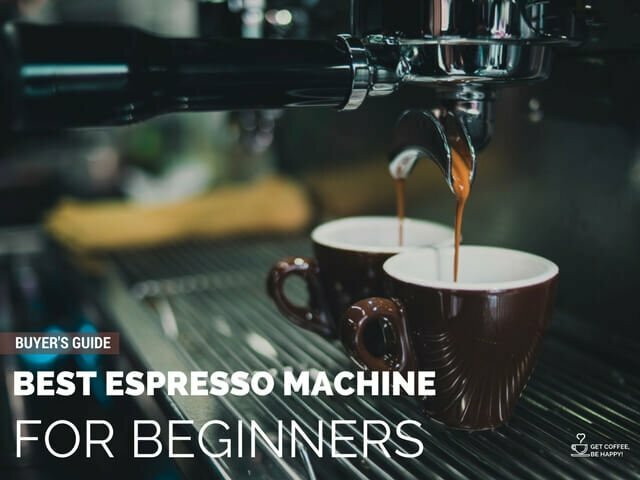 You will get the same effect by adding a pinch of starred powdered anise in the Moka filter along with the coffee powder. Put in a pot 4 tablespoons of cognac, 2 tablespoons of Cointreau, 2 cloves, 1 cinnamon sticks, 4 pieces of orange peel and 4 pieces of lemon peel. Heat up over a low flame until almost boiling. Prepare 4 cups of coffee and add the filtered hot mixture. 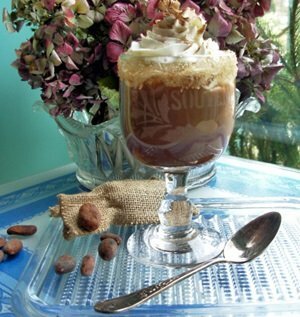 This coffee recipe is a great after-dinner heating and digestive. Prepare coffee and put it in a pot in a water bath. Add a grated nutmeg, 1 clove, 1 piece of cinnamon, some vanilla seeds and leave it hot for infusion for a few minutes. 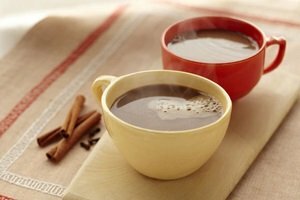 In a cup of boiling coffee add 1 piece of chili chocolate, to get in the mood on a rainy day. 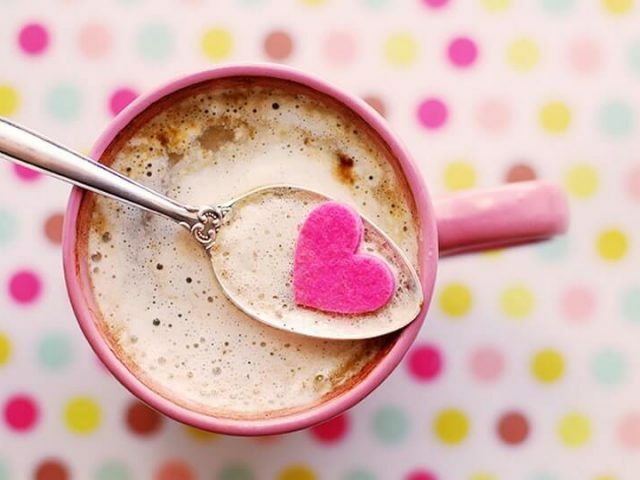 Prepare a cup of boiling coffee and add some pieces of chocolate and a griddle of pink pepper. Serve it in a porcelain cup with rose petals on it, for an unforgettable Valentine’s Day! 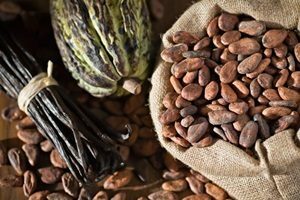 Boil half a cup of milk with a vanilla and cocoa. Add it to your cup of coffee. If you want, add whipped cream on top. Mix cinnamon and coffee and place in the Moka filter. When the coffee is ready, add half a tablespoon of orange flower water tea to your cup. It can be further flavored with vanilla sugar. This recipe comes from Morocco where coffee is very much-loved. Let them rest for at least 2 hours to allow spices to release their aroma. 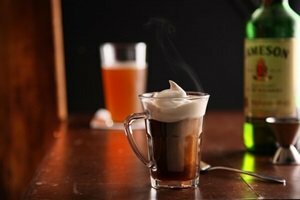 This rum coffee recipe is perfect if you have time and if you are in so many. Get some molasses (a very good sweetener slightly sweeter than sugar) and spicy rum. Dissolve 2 tablespoons of molasses in 1 cup of boiling coffee. Add 2 tablespoons of rum. If you want to pamper yourself, add a spoon of whipped cream. 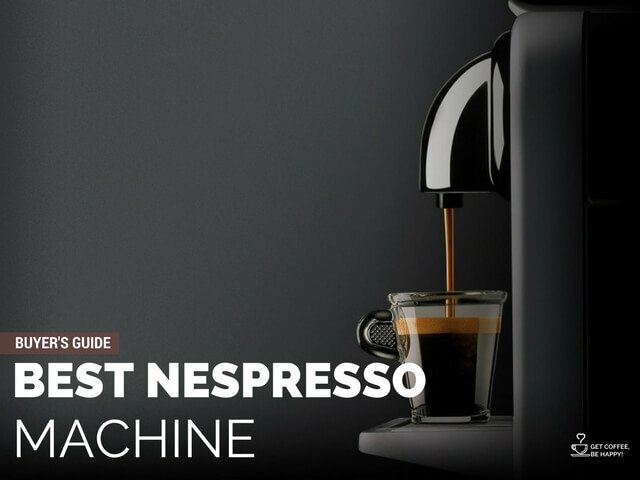 This coffee recipe is a real libido! Add it all to a cup of coffee. It’s even more delicious with an addition of whipped cream and a pinch of pumpkin spice. 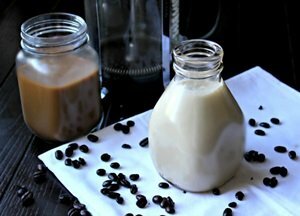 More and more people like to replace milk with other drinks. So, if you are among them, try adding a vanilla extract spray and a little coconut milk to your coffee. You will discover how much these flavors blend. Alternatively, you can use almond milk. In both cases, you can do without the sugar. Put water, coffee, ginger, and sugar into a pot. Bring to a boil and remove from the fire. As soon as the coffee stops boiling, put it back into the fire, bring it back to the boil and take it off again. Repeat for the third time the same operation. Wait a minute before serving it, until the remaining powder of coffee and ginger falls to the bottom. In Yemen, this coffee is served with honey biscuits to mitigate the bitter taste of ginger. Grind finely in a mortar 2 tablespoons of Arabica coffee beans with 3-4 cardamom seeds. Pour the powder, about 1 teaspoon per person, into a pot of 1 cup of water per person. Add sugar and, if you are daring, a pinch of saffron that will give the coffee a golden reflex. Wait a minute before serving it for the remaining powder of coffee and cardamom to deposit on the bottom. It is usually served bitter, with dates. Thus, the perfume of the cardamom is emphasized, which with its subtle aroma of lemonade attenuates the acidic side of the coffee. If you came this far, then congrats! 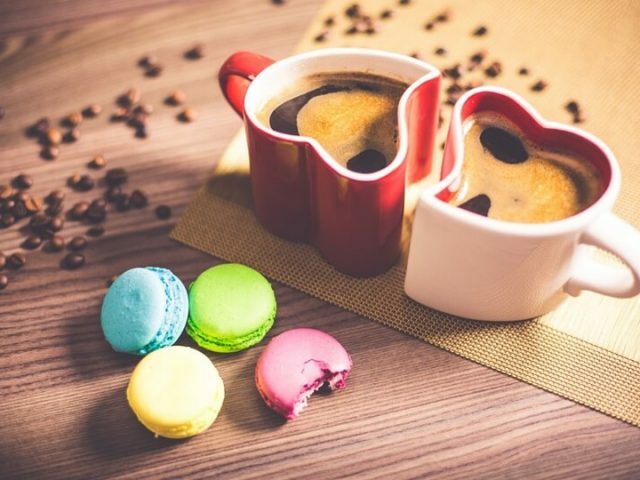 I hope you liked these 18 ways to add extra flavor to your coffee and I hope you discovered some interesting and exotic coffee combinations. 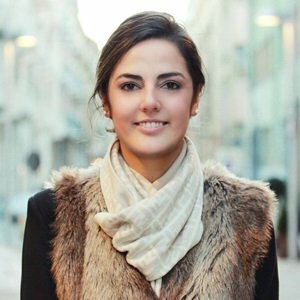 I also hope that after reading this list, you will give at least one or more of these a try. But now let’s talk about you! 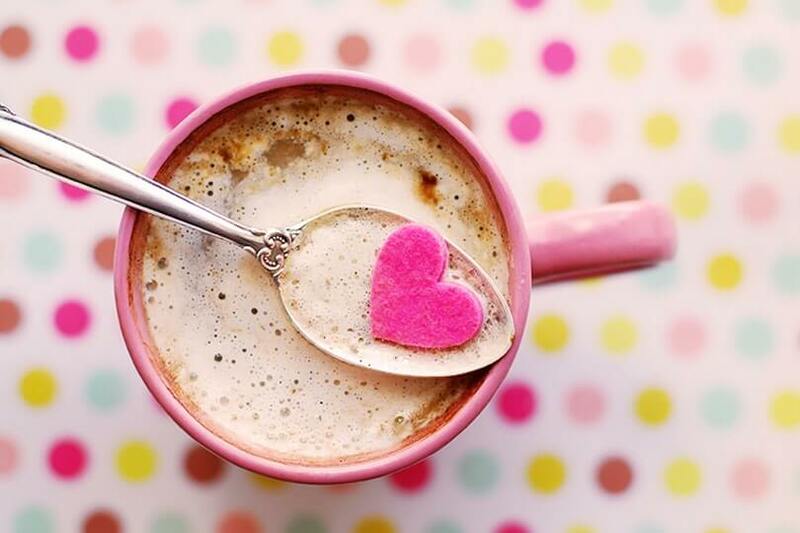 What flavors do you like to add to your coffee? Tell me in the comments! Thinking of giving up White Sugar? Try these 9 Healthy Alternatives to Sugar! 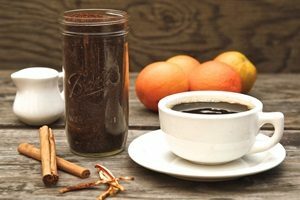 I hope you'll like these 18 ways to add extra flavor to your coffee and I also hope you'll discover some interesting and exotic coffee combinations. Enjoy!